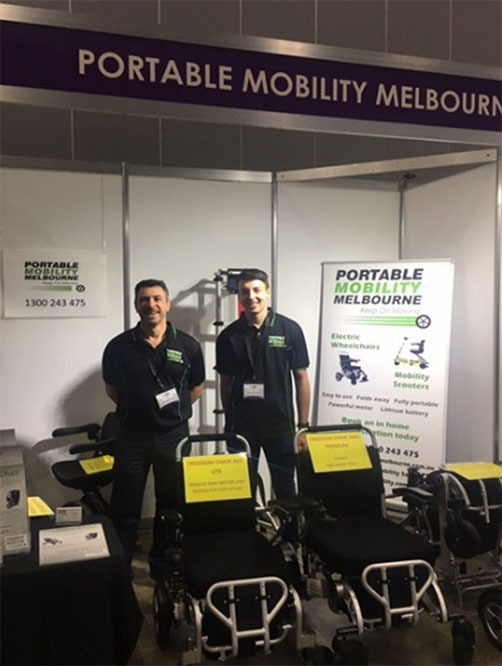 The Melbourne Disability Expo was held on the 16th and 17th November and our display stand were one of the most popular. 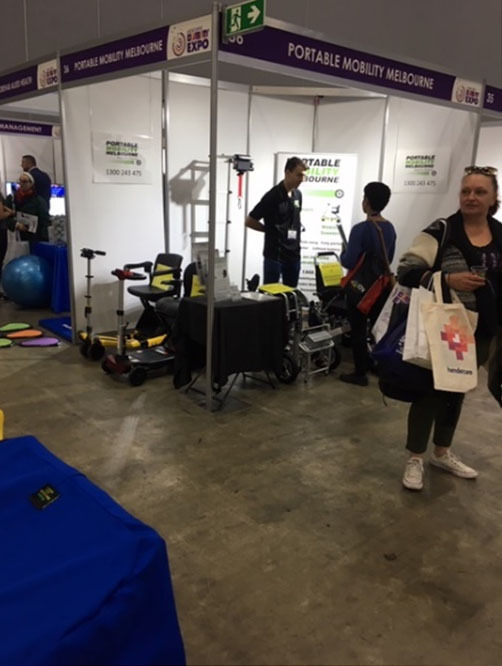 We had lots of people trying out our Freedom Chair folding wheelchair range and our Luggie and Solax folding scooters. There was great interest in how easily the whole range folded for easy transport. We met many people that day, such as Tim, who will start at Swinburne University next year. He is currently in a manual wheelchair and tried out the A08L Premium chair to get him around the campus. He loved it!